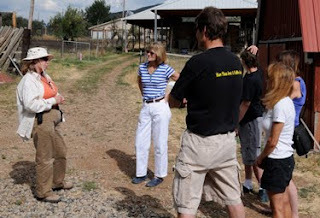 Today was the third annual Garvin Mesa Day. All three wineries on our mesa, Terror Creek Winery, Stone Cottage Cellars & Azura Cellars and our farm coordinate to have an open house day. 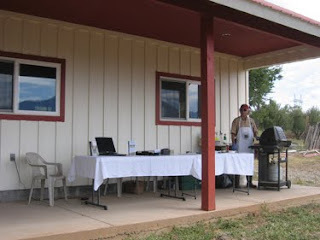 We did farm tours and had our smoked sheep kolbassi sausages to sample. 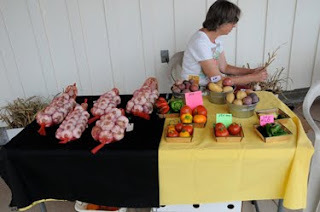 Monica from Small Potatoes Farm came with garlic braids, potatoes and tomatoes. 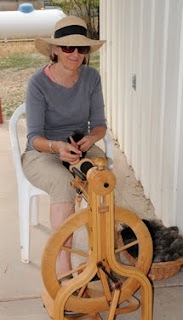 Margaret came and spun yarn on the porch. 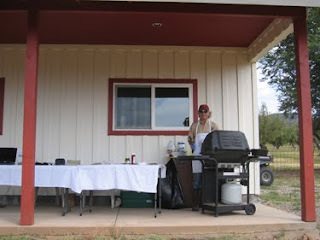 Here is Ken getting ready to grill the samples for people to taste. 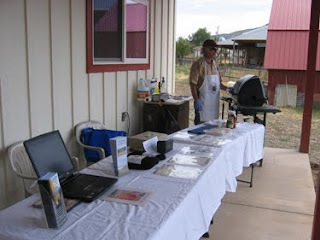 Things got really busy and we had a good day showing the sheep to lots of people. 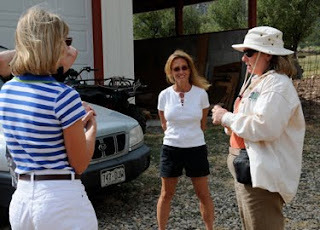 But of course I was busy doing the tours, Ken was dealing with samples and I never got any more pictures taken. Luckily Jim Brett came and took a few more pictures. This is Monica cleaning garlic. 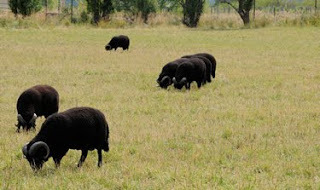 Some of the adult rams on pasture.